each 7 x10 x 4" approx. 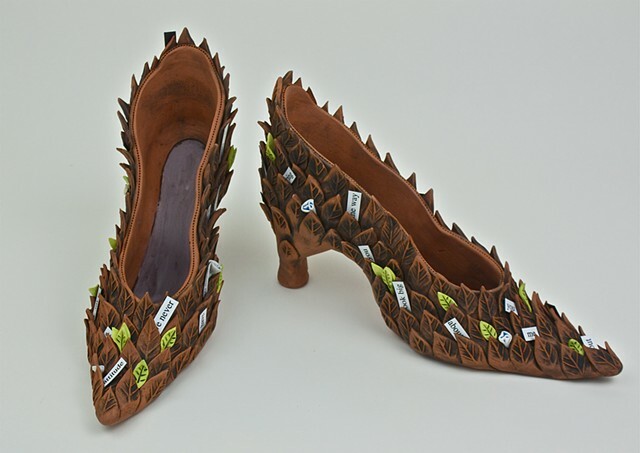 A pair of earthenware shoes, with porcelain ,paper and metal. One of a kind. SOLD.